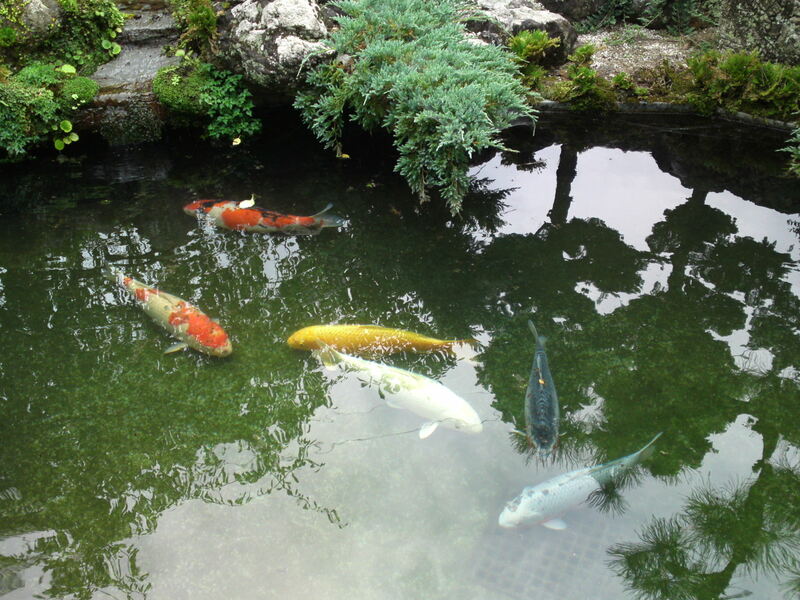 Traditional Japanese Garden in Youshyu Temple (養秀寺) in Shimo, Aoi Ku , Shizuoka City! 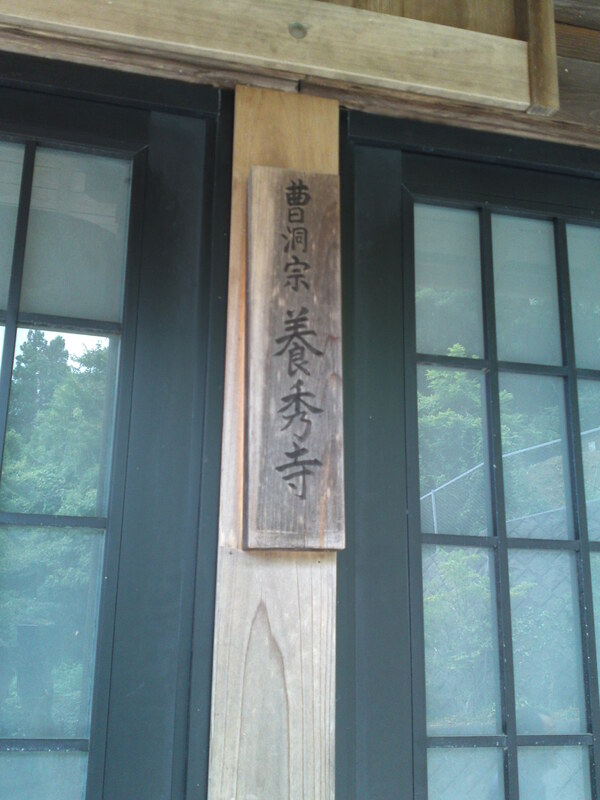 If you cycle (or ride, or walk) along the Abe River, you are bound to find many a Shinto Shrine or Buddhist temple along the way especially if you keep to side streets/road between the main road and the abutting mountain slopes! That is how I found this small Buddhist Temple up a short but very steep slope. I do not so much interest in Buddhist Temples and their cemeteries, but you never know as you might find something out of the usual from time to time! 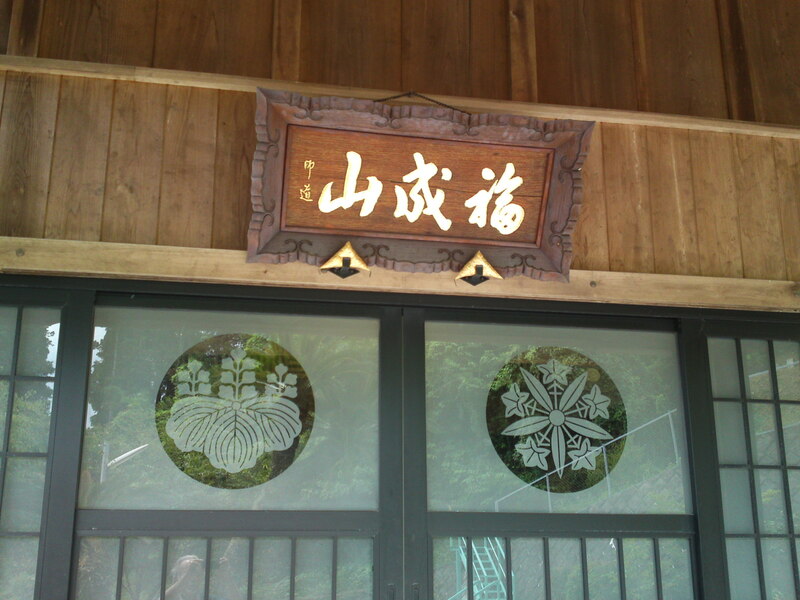 For people interested in such matters the name of the Temple is Youshyu Ji/養秀寺 of the Soutoushyuu/曹洞宗 Buddhist Sect! 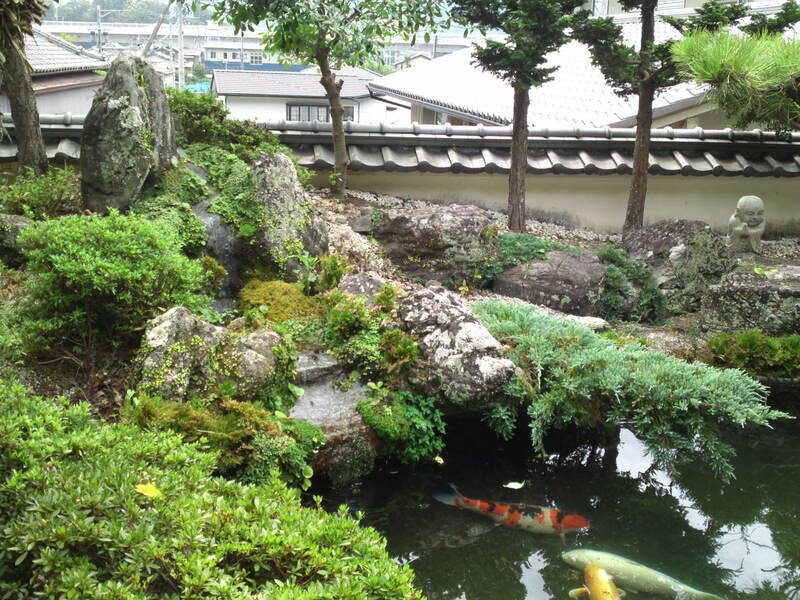 This tiny traditional Japanese garden was the reason for a longer visit! 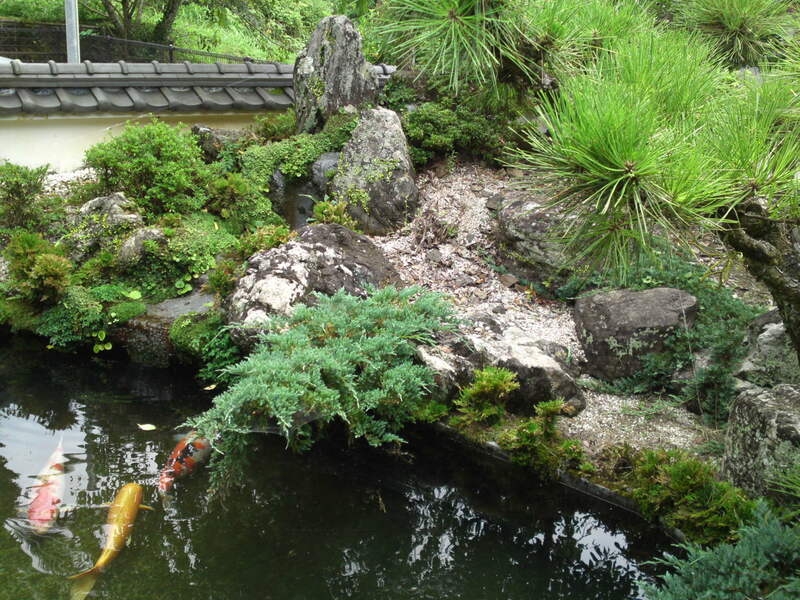 The whole measured 2 x 3 meters at the most with a miniature mountain stream landscape! only a few carps, but big and all of diffrent colors! That alone is worth a lot of money! Mind you, Buddhist Temples in Japan, however small they may be, are always rich!